Here's a sketch I did for a guru project. It was ment to be used for a graphic t-shirt logo. 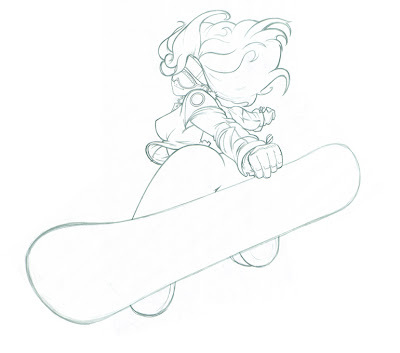 I would have loved to put together some more snowboarding designs since I'm a fan of SSX tricky.